How many of us can remember the dreams we had the night before? Some are able to recall theirs in vivid detail, but to many, dreams are but faded shapes and jumbled conversations. Dimitra Milan however, manages to bring her wildest dreams to life in the form of colourful and whimsical paintings. Surrounded by art since young, the 16-year-old started painting at the age of 12, thanks to her parents. The established artists helped shape her artistic passage, molding her into the professional artist she is today. 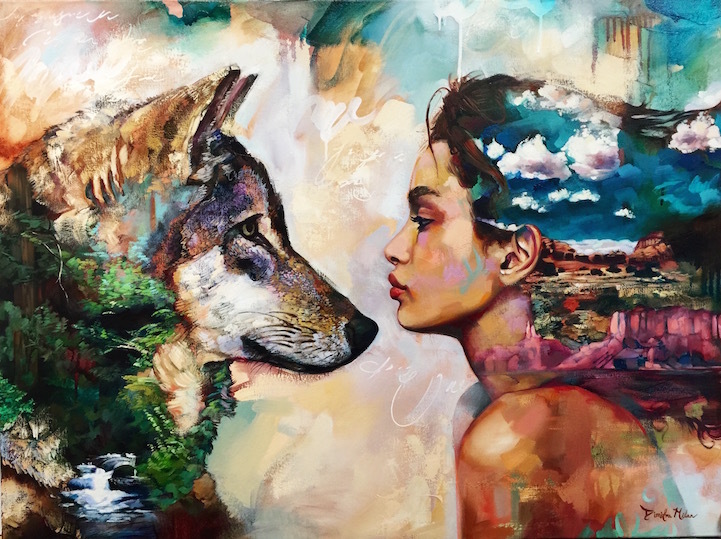 An animal lover, Dimitra often incorporates animals and nature into her paintings, though she views them merely as symbols. The animals she paints are traditionally viewed as dangerous or predatory, but never appear threatening when she portrays them on canvas. 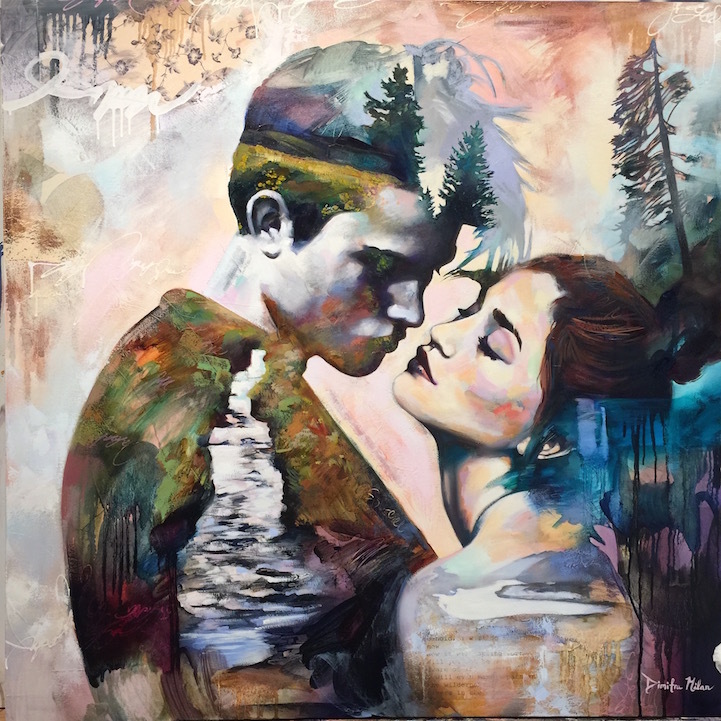 Combining the places she’d been to and dreamt of, Dimitra uses her talent to immortalise these destinations into works of art. 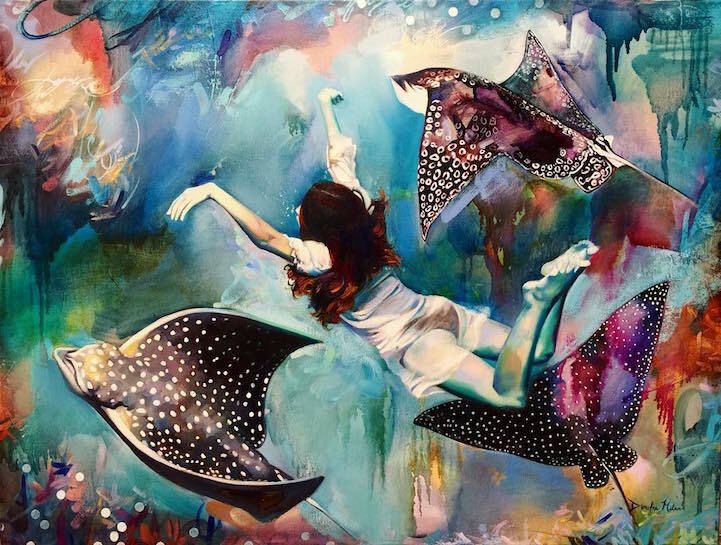 From swimming underwater to hiking in tropical mountains, she creates piece after piece of dreamy paintings based on these visions. But these pieces do not come easy. Dimitra spends hours everyday practising her skills. 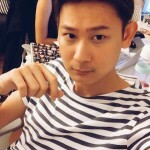 “You just paint. Every day, for eight or nine hours straight just like any other career choice…” she says. Dimitri’s techniques and process, while already impressive, are still evolving. At only 16, it would be immensely interesting to see her works mature into something even more magical in the years to come. Images sourced and text referenced from My Modern Met website.